Airtel subscribers, I guess by now you must have noticed the free options for facebooking on your Facebook app. 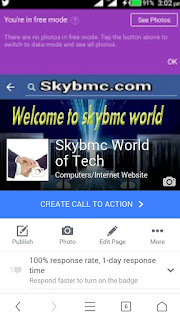 Are you out there without the notice or unaware to such development for free facbooking option, with the use of Airtel line. Behold, here it comes to your court. 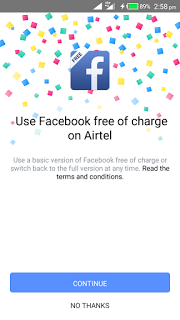 The Facebook app provides you with two options once you are using Airtel network. 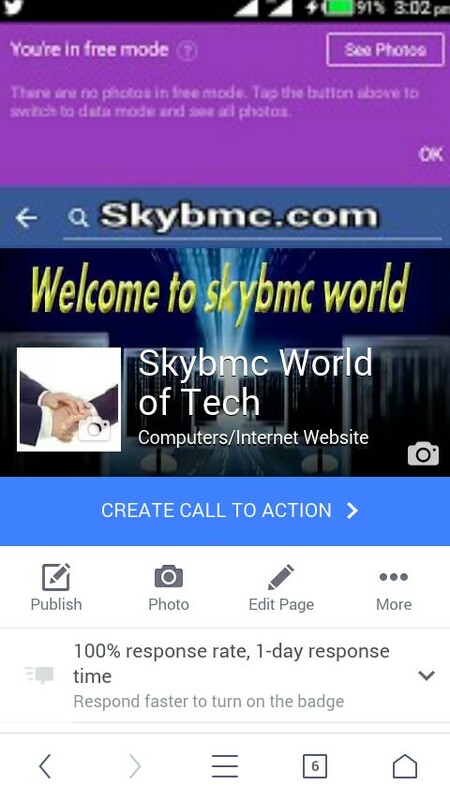 It shows you either to switch to free Facebook or to use Facebook with data when you launched the app. Life is now made easy on Facebook with Airtel network. Are you in a situation whereby you don't have data to chat and catch fun with your friends on facebook due to the Scarcity of data on your device? Don't worry again because this post is for you to welcome back your happy mood again. As you can select the option of Free Facebook, having that your airtel line is on your device and like play you will see your self online life. Endeavor to share to your friends on Social Media once you are through with the underscoring. Any question, use the comment box below.